Lionsgate Home Entertainment has just announced details about Lady Bird, bringing the Academy-award nominated coming-of-age comedy to Blu-Ray Disc and DVD in March. In Lady Bird, director Greta Gerwig reveals herself to be a bold new cinematic voice with her directorial debut, excavating both the humor and pathos in the turbulent bond between a mother and her teenage daughter. Christine “Lady Bird” McPherson (Soairse Ronan) fights against, but is exactly like, her wildly loving, deeply opinionated and strong-willed mom (Laurie Metcalf), a nurse working tirelessly to keep her family afloat after Lady Bird’s father (Tracy Letts) loses his job. 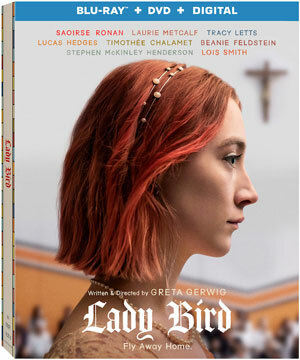 Set in Sacramento, California in 2002, amidst a rapidly shifting American economic landscape, Lady Bird is an affecting look at the relationships that shape us, the beliefs that define us, and the unmatched beauty of a place called home. 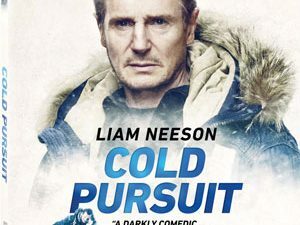 Lionsgate is keeping this release on a surprising short leash, giving it only a Commentary Track with Writer/Director Greta Gerwig and Cinematographer Sam Levy, as well as the Featurette “Realizing Lady Bird” as bonus features. Lady Bird will be in stores on March 6 for $39.99 as a Blu-Ray Combo Pack and $29.95 on DVD.